The hotel has been built on the cornerstone of customer satisfaction, one that offers first class comfort with personalized services. Hotel Maya Regency is impressive with it's very own distinctive style and tells the story of it's hospitality through its architecture & design and through its high level of comfort & service. It’s a dream that has been created brick by brick and it’s a story that is vibrant with colors of services, colors that touch every corner & every stone with warmth and vibrancy that create its soul. Corbett Adventure Resort is the newest addition to the cheap & budget luxury hotels & wildlife resorts in Jim Corbett National Park. It is a blend of luxury living and corbett adventure park and offers first class comfort with personalized services in jim corbett. 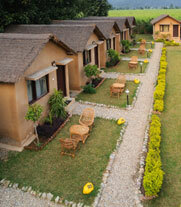 The resort offers eminent hospitality through its location, architecture, design & high level of services. 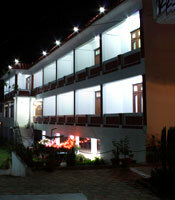 It's foundation was laid with a vision to provide the best of luxury services & accommodation in cheap rates along with various activities within the resort premises for guests to enjoy & adventure activity in jim corbett. The people behind this venture are all industry professionals with years of experience in Hospitality industry and have been running hotels & resorts at Jim Corbett & Nainital for last 5 years.